We aren’t the kind of food bloggers that make our Thanksgiving turkey on the Monday before Thanksgiving just so we can show the world how to make turkey our way. 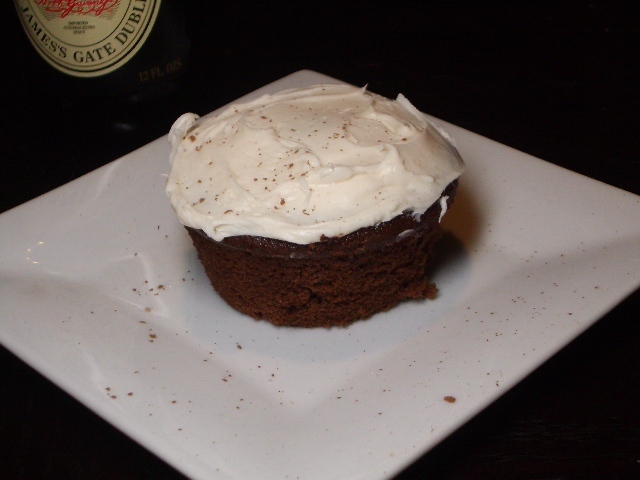 We also aren’t the kind of food bloggers that make Chocolate Stout Cupcakes before St. Patrick’s Day, leaving enough time to post about them so that you can make them for your St. Patrick’s Day party… This might explain why we aren’t famous yet. We did celebrate St. Patty’s Day, complete with great friends, corned beef, stewed cabbage, and Chocolate cupcakes with Guinness Stout mixed in… we hope you had a fun day, too!